Jason Kreis is a 43 year old former manager and player who became unemployed a few months ago when he parted ways with his latest club New York City FC. Now that Kreis has more free time at his disposal, he took the chance to meet up with the coach of the U.S national team JurgenKlinsmann. Klinsmann is currently working with a group of players that he previously selected to go with him for the annual January camp which is traditionally held in Southern California. Kreis took the chance to meet up with JurgenKlinsmann and see how things are going with the U.S national team but the German manager put Jason Kreis to work and there might a possibility of Kreis becoming an assistant to Klinsmann depending if whether or not they are able to work well together and collect positive results. July 22nd is not a date worth remembering for the United States national side and all of their fans as this was the day when the U.S team lost against Jamaica in the semifinals of the 2015 Gold Cup. Losing against Jamaica was a huge surprise as the American outfit was one of the favorites of making it into the finals and actually winning the entire tournament but ultimately lost 1-2 against Jamaica. This defeat is a huge blow for JurgenKlinsmann and the national team in itself but mostly for the German coach as the pressure is really beginning to build up. Bob Bradley is the previous manager of the United States national side and JurgenKlinsmann was the manager who replaced Bradley, when the German coach was selected as the new coach, this created a wave of optimism as he promised to turn the American national side into an energetic and youthful team that could compete against some of the best teams in the world. These promises haven’t been fulfilled as the results have not been up to par with what has been expected and assured. 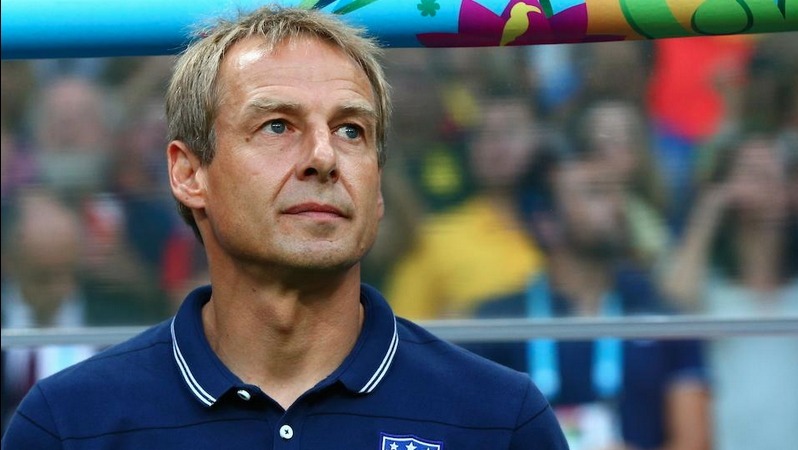 There are a number of problems that the team of JurgenKlinsmann has been displaying and the German manager is the man that fans are putting the blame on. One of these problems is in relation to the defensive department of the American national side which has John Brooks and Ventura Alvarado at the heart of it but this combination of defenders has been disappointing. Borussia Dortmund manager Jurgen Klopp says that he is still confident that the club can end the season on a high if they win the next two home matches. A 3-1 defeat against Borussia Mönchengladbach meant that the team still sit outside the top 10 of the table. The prospect of finishing in the Europa League spots appears to be disappearing fast, butKlopp says that this season will still be considered as a positive one if they managed to win the next two matches at home. These will be against Frankfurt and Paderborn. Dortmund are six points away from the sixth spot which will be enough to secure European football for next campaign. Michael Bradley’s position in the US national team has been subjected to much debate. While the American International is used to playing in the centre of midfield, national team manager Jurgen Klinsmann has not been afraid to experiment with the 27-year-old. Since he is at the peak of his career, it is often maintained that Klinsmann would be fine with just using Bradley in his best possible position. The Toronto FC star is not someone who comes with a great reputation of scoring goals. After all, he has managed only 13 goals in 93 matches for the national team. 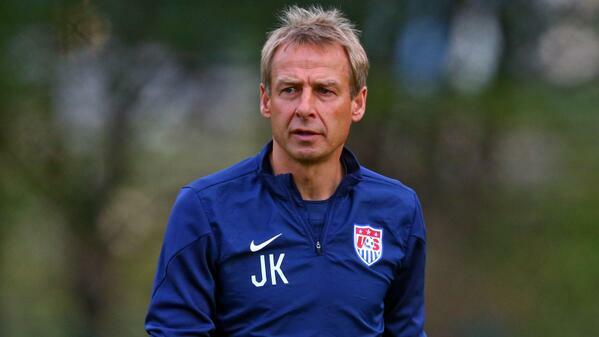 US national team manager Jurgen Klinsmann has surprised many by calling up several youngsters in the upcoming rooster. The former Germany manager has explained his decision by saying that he wants to start developing young players for the national team. The United States did well at the World Cup 2014 by almost reaching the quarter-final stage. However, one criticism of the national team has been the lack of youngsters as they have been too reliant on the likes of Tim Howard and Clint Dempsey. These players are at the twilight of their careers and are unlikely to be at the next World Cup. Jurgen Klinsmann the head coach of the U.S national team and an ex-Tottenham striker strongly believes that Robbie Keane is extremely professional and this quality of his makes him an ideal role model in the modern game for all footballers. He has also been consistently jetting across the Atlantic to turn out for Ireland. Despite of his age and legs that have been ageing he has scored 53 times in 84 regular season games since he has arrived in the USA from Tottenham in august of 2011. Jurgen is totally astonished and awe struck by how his fellow mate has continued to stay at the top level and maintain his position. He has established himself the League MVP front runner in 2014 where he scored a total of 19 goals and 14 assists in 29 games. Jurgen believes that all the young players both from the U.S as well as others should be following him and his lead. He has also praised him to the US Soccer whom he told that Keane was a gem and an outstanding athlete who is fit to be the role model for all the players that are there. Jurgen says Keane is a player who always gives his hundred percent. He is the kind who even when goes to the field for training will consider the training to be the real match and gives everything that he has. He is a person who is totally dedicated and very professional. He helps and teaches the younger players to become that professional. He is a player who at the same time also plays for the national team. He keeps flying back and forth for a game. He is a special player who can play a match tonight and be back with galaxy tomorrow and play another game there. The World Cup qualifying match played between Germany and Sweden at Olympiastadion on Tuesday has ended in the form of a draw. Both the teams scored 4 goals each. The result of the match didn’t have any effect on the position of Germany in the Group C points table. Germany is still at the no. 1 position in the Group C points table with 10 points in 4 matches. At one point of time, the German team was ahead by 4-0 and was cruising towards an easy victory. But, the Swedish players made a fantastic comeback in the match and scored 4 goals in a space of half an hour to stop Germany from winning the match. The equaliser was scored in the third minute of the injury time by Rasmus Elm. The German team was playing on its home soil and a huge crowd turned up in the support of the home team. The German team was off to a blistering start and the score was 3-0 in the favour of Germany at the half time break. The lead of Germany was further enhanced in the 56th minute of the match by Mesut Ozil, but, after that, the German team lost the plot all of a sudden. The Swedish team counter attacked and managed to grab one point eventually. Miroslav Klose scored two goals for Germany, while, Per Mertesacker and Mesut Ozil scored one goal each. On the other hand, for Sweden, the goal scorers were Zlatan Ibrahimovic, M.Lustig, Johan Elmander and Rasmus Elm. This was the third match for Sweden in the tournament. The Swedish team had won its previous two games, but, in this game, the team hasn’t managed to secure all the three points. The Swedish team is currently placed at no. 2 in the Group C points table with 7 points in 3 matches. The German team will play its next World Cup qualifying match against Kazakhstan, while, Sweden will take on the Republic of Ireland in its next match.